Opened in 1974, this privately owned Museum is set in a building that was originally used for making coaches and wagons. 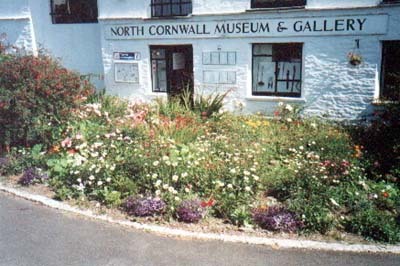 The Museum covers many aspects of life in North Cornwall from fifty to a hundred years ago. 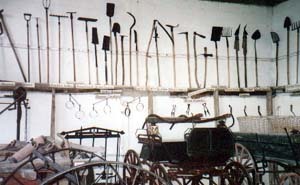 These include farming, the dairy,cidermaking and wagons. A special feature is the reconstruction of a moorland cottage at the turn of the century. There are sections on the tools of the carpenter, cooper, blacksmith, saddler, cobbler, tailor, printer, doctor, granite and slate quarryman. On the domestic side there is a wide range of exhibits from lace bonnets to early vacuum cleaners and a collection of Cornish and Devonshire pottery. The Gallery has changing exhibtions throughout the season of crafts and paintings. We are also a Tourist Information Centre and are able to locate and book a full range of holiday accommodation in the area.